Ambassador in Exile: the alternative to upside-down "killing us softly"
the alternative to upside-down "killing us softly"
Earlier this year I was challenged to pick a theme word for the year, and then try to live that word, enjoy that word, learn more about the word, better understand the word and then model that word. The word that I chose was justice, and this book helps me to learn more and better understand justice—not the way it is so often defined in human terms, or in terms of how it affects me, but in terms of what God was thinking, what God is thinking when he calls for justice throughout all of his creation. Efrem Smith introduced me to a new way of looking at God's justice: turning the world as it is upside-down. (Actually he re-introduced me to this concept—it appears in the book of ACTS.) If you’re looking for a fresh way to engage with the Kingdom of God, you’ll want to read this book. If you’re content with the status quo and maintaining the past, you need to read this book. 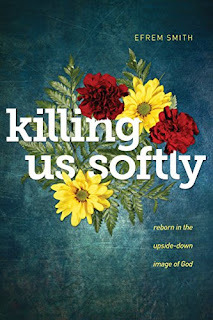 Killing Us Softly: Reborn in the Upside-Down Image of God (NavPress, 2017) offers some ideas for what we should be doing to further the Kingdom, and why we should be doing it. 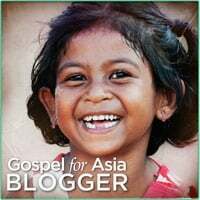 A basic premise is that Jesus did not come to rule, but to serve, and by the way, he came to serve even those people on the fringe, the people on the outskirts, the marginalized of his generation. As followers of Jesus, we are also invited to be a part of changing things to fit the vision that God had before the Garden, and still has, for His creation. And as the subtitle suggests God’ view of success doesn’t look like what we often identify with that word. And turning the world upside-down, from God's point of view, is a good thing. The world we live in is nothing like God designed, it’s already bottom-side-up, so as Jesus declared and demonstrated what the world could look like, he invited us to enter into the right-side-up world that He called the Kingdom of God. (p 40). God, as Smith explains, is not interested in the world remaining as it is; God is interested in the deliverance, liberation, empowerment, and transformation of upside-down people and in the introduction of an alternative to an upside-down world. (P46). Someday I'll figure out what I want to be when I grow up! For now I'm enjoying being married to Sara, and Dad to Nolan. Sara teaches school, Nolan is in 8th grade, and I have the best job in the world: being the pastor at First Baptist Church of Ogden! Years ago someone probably thought I would end up doing ministry,but it wasn't until after retiring from Military Service that Theological Studies called. Graduated from Salt Lake Theological Seminary in 2005 and have been trying to figure out why God wants to use me ever since. Eclectic tastes make life fun, and by the time I figure out why something is fun, it's usually time to move on to something else. No time to get bored! Update on Jan 27 release of "A Dog's Purpose"
You Carried Me- heartfelt and passionate.